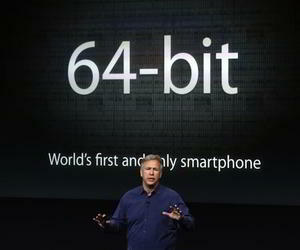 Just two days after Apple announced the iPhone 5S with a 64 bit CPU chip, Samsung too has now stated that the next-gen Samsung smartphones will have 64-bit processors in the near future. This statement clearly indicates that the 2014 flagships, such as the Galaxy S5 or Galaxy Note’s 4th sequel will be getting brand new 64-bit processors. Another announcement that Samsung made today is its plan for expanding business in mainland China. Samsung plans to keep its current momentum in China with some better pricing, diversified products and solid local partnerships. A lower rank executive said that Samsung has no reason to allow Apple to steal their market share in China where lies a great number of smartphone buyers. This statement coming two days after the “iPhone 5S Event” actually means that Samsung wasn’t expecting Apple to launch their next-gen device with a 64-bit mobile processor, but Apple to much surprise did launch such a device alongside another cheaper iPhone 5C. Apple has now become the first smartphone manufacturer in the world for powering its device with a 64-bit processor and has taken a slight innovative lead in the global smartphone industry. Apart from the hardware, Apple has even optimized its newly released iOS 7 for 64-bit architecture while there’s a long road ahead for Android OS to catch up with 64-bit architecture support. Samsung probably will come up with a 64-bit chip next year along with some sort of 64-bit compatibility (most likely in the upcoming Android 4.4 KitKat). The new iPhone 5S has proven to be twice as fast than the iPhone 5 in recent benchmark tests and hints to the fact that 64-bit processor (alongside a co-processor) indeed boosts both the general and graphics processing. Given the super fast benchmarks of iPhone 5S, it is safe to assume that 64-bit chips are destined to revolutionize all known flagship smartphones in the near future as manufactures throughout the globe will now rush towards 64-bit chips for their respective devices.